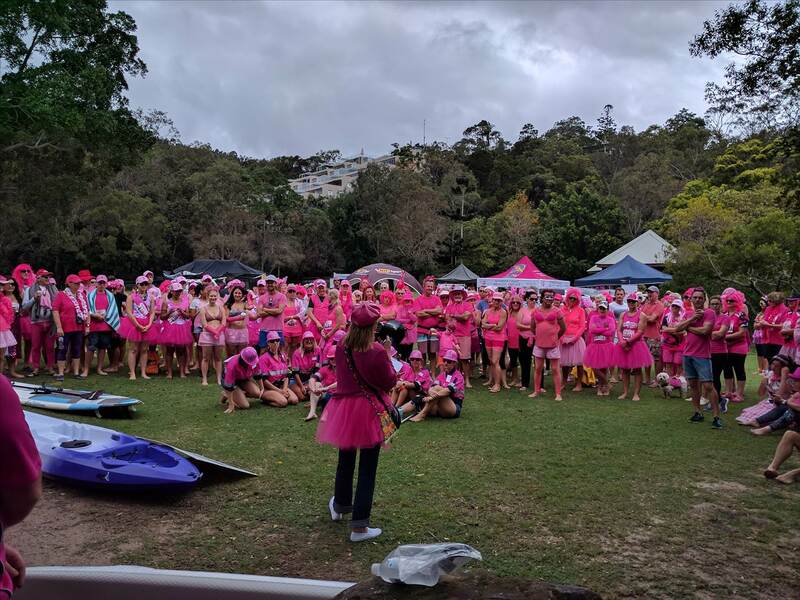 Paddle around Noosa Sound for breast cancer research at BiC SUP Paddle in Pink and dress in your best pink outfit - prizes for best dressed individuals and team. Create a sea of pink on Noosa's waterways and paddle approximately one lap of Noosa Sound, starting from Noosa Woods on the Noosa River. 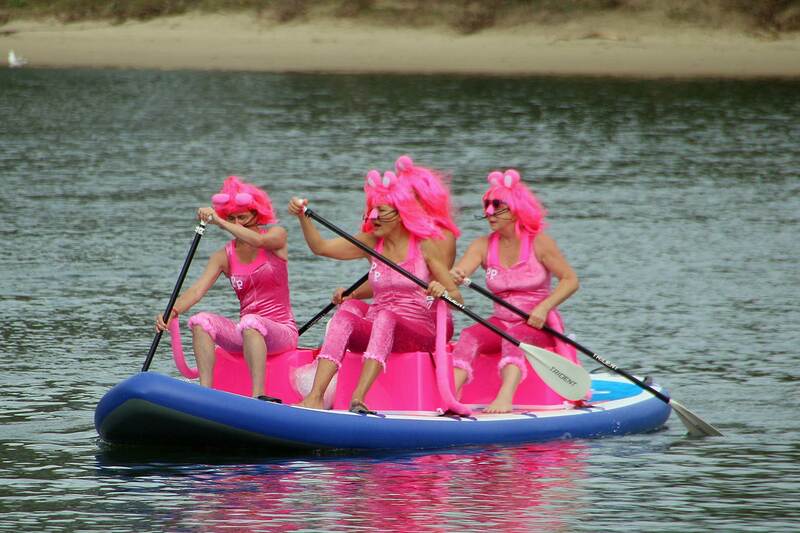 This fun paddling event raises awareness of breast cancer, and funds for the National Breast Cancer Foundation. This is not a race. Entry is available to individuals and teams. Bring your own water craft which can be paddled or rowed - stand-up paddle boards, canoes, kayaks, outriggers, surf skis or row boats welcome. Hire a kayak or stand-up paddle board from Boardwalk Boat Hire (phone 07 5455 3755). Hop on The Noosa Ferry spectator boat and cheer on the participants - ferry tickets are $10 per person through Boardwalk Boat Hire. Breakfast will be available from Noosa Heads Lions Club, and Flying West coffee. Major prizes include a stand-up paddle board package from BiC SUP and a kayak from Davos Tackle World. See the aerial fly past from the Ultimate Thrill Ride in their Extra 300 Red Bull Race type aircraft (weather permitting). 100% of all funds raised, entry fee, hire fees and Noosa Ferry tickets are donated to the National Breast Cancer Foundation.